Hilka Tools seem like they have been around since the invention of the wheel. With tested quality control that's second to none and backed by a no quibble guarantee most people in the trade believe it's worth paying that little extra to know what you're getting. Hilka Tools have now been established for just over 40 years now. You don't last that long selling tools not up to the mark. You can definitely find cheaper but won't be the same quality or have the expected longevity you get with a Hilka Tool. Highest quality chrome vanadium combination spanner for the professional or the home mechanic. The spanner has a double hex end and an open end giving you more grip on nuts and bolts. 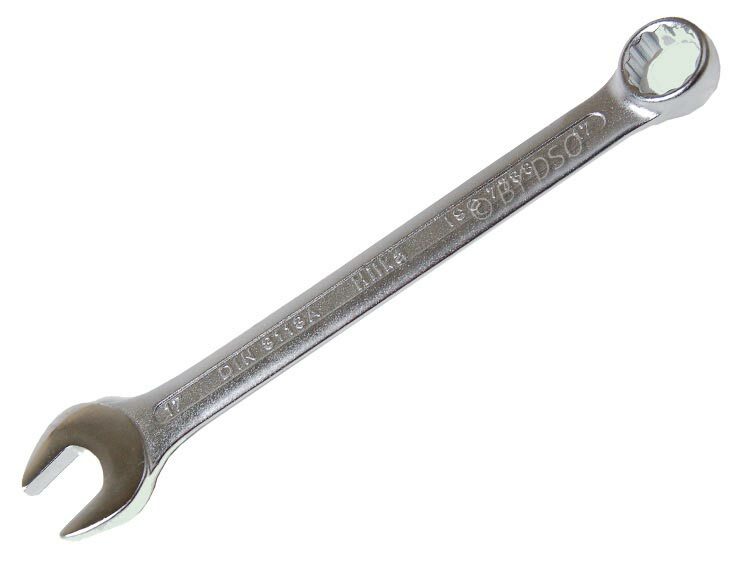 Hardened and tempered for strength and durability, properly cared for this spanner will last you a life time. Hilka Tools trusted in the trade.